This post originally appeared on my now defunct My Thermos blog on September 5, 2008 and is being reprinted here with my own permission. I’ve been a fan of Elton John for a long time. His writing collaboration with Bernie Taupin has created some of the greatest music of my generation. He is an amazing live performer, one I’ve seen countless times over the years. His string of 7 albums from 1971’s Madman Across The Water through 1975’s Captain Fantastic is a staggeringly amazing collection of songs. This amazingly prolific period is surpassed probably only by The Beatles for sheer quantity of quality work in such a short period of time. 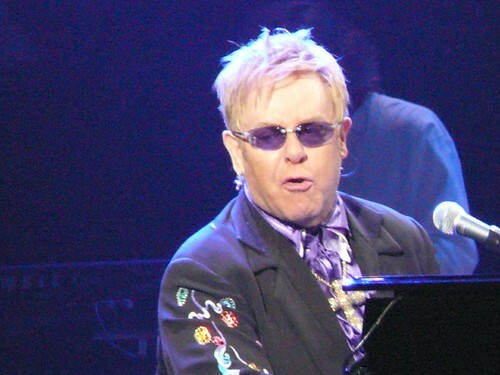 But Elton is also one of those artists that I occasionally despise. You see, for every Tumbleweed Connection there was a Leather Jackets. For every “Amoreena” there was a “Don’t Go Breaking My Heart” A quick scan of ratings in my library shows a tremendous number of 3 and 4 star entries along with a boatload of “never play this again” – it seems I either love him or hate him. But when he clicks, it really is magic. I know many of your favorites are probably missing – what would be on your list?